When a tooth fails to fully erupt above the gum line and settle in its expected position, it is said to be impacted. This problem mostly affects the wisdom teeth because they begin to emerge when all your other adult teeth have already set in, and there isn’t enough room in the jaw to allow for proper development of the tooth. Impacted teeth can also occur when the tooth erupts at the wrong angle, or when the right path is obstructed by the neighboring teeth. Impacted teeth typically come in at an angle, which causes them to push adjacent teeth, which can cause pain and discomfort. The position of the impacted tooth also creates a deep socket between neighboring teeth where plaque can build up, causing bad breath, gum disease, tooth decay, infection, and other problems. A partially impacted tooth is one that has erupted slightly from the bone tissue encasing it in the jaw. However, it has not erupted above the gum line. Although the tooth has barely emerged, the portion that has erupted is still covered by soft tissue. To extract a partially bony tooth, the dentist will need to cut the gum tissue. Depending on its position, the tooth may have to be divided and removed in smaller pieces. In this case, the entire tooth is still encased in the jaw bone, such that even after the gum is cut, the tooth is still not visible. This makes it difficult to remove the tooth. The upper portion of the tooth usually needs to be removed as a whole, together with root sectioning. This is a different type of impaction where the tooth has erupted properly above the surrounding bone tissue, but it is still covered by the soft tissue (gums). The extraction procedure for this type of impaction is simple, and typically does not require the tooth to be segmented. The only way to treat an impacted tooth is by extraction. 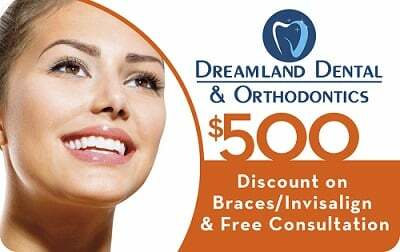 Dreamland Dental offers two types of extraction. The simple extraction technique is used for cases involving soft tissue impaction. 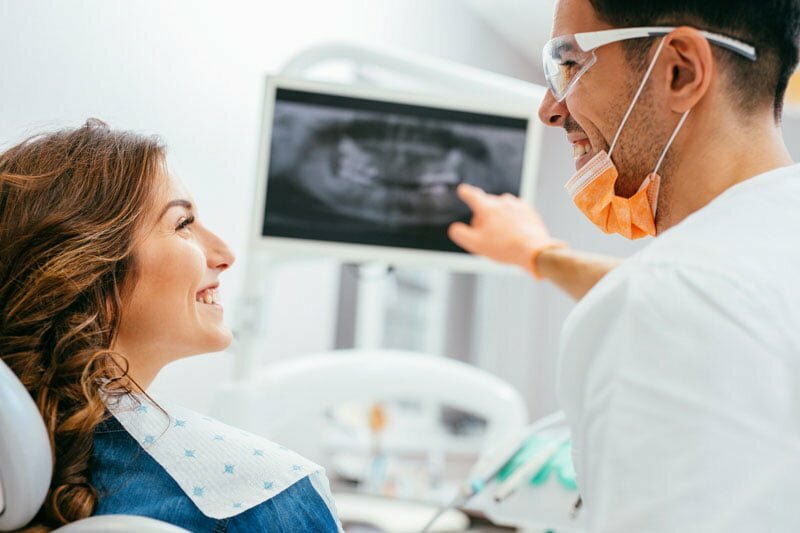 The procedure uses the basic tools for a regular surgical tooth extraction, but there’s usually no need to segment the tooth once it has been accessed under the gums. Bony impaction, on the other hand, requires surgical extraction. 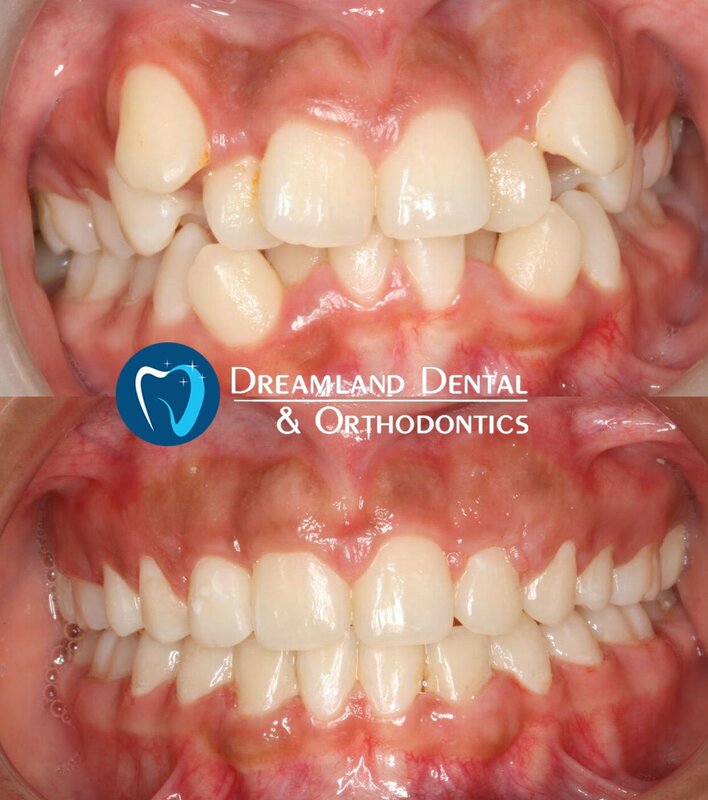 The process is direct with low risk of complications, even for full bony impacted teeth. The dentist will make a small cut along the gum line, next to the impacted tooth, to create a “surgical flap” that can be lifted to access the bone tissue and impacted tooth. After the tooth has been extracted and the socket treated, the flap will be stitched back in place. The tooth extraction procedure is carried out under local anesthesia, and sedation if you’re anxious, so it’s virtually painless. It is important that you follow your dentist’s post-surgery directions to prevent infections, dry socket, and other complications and ensure proper healing and recovery. 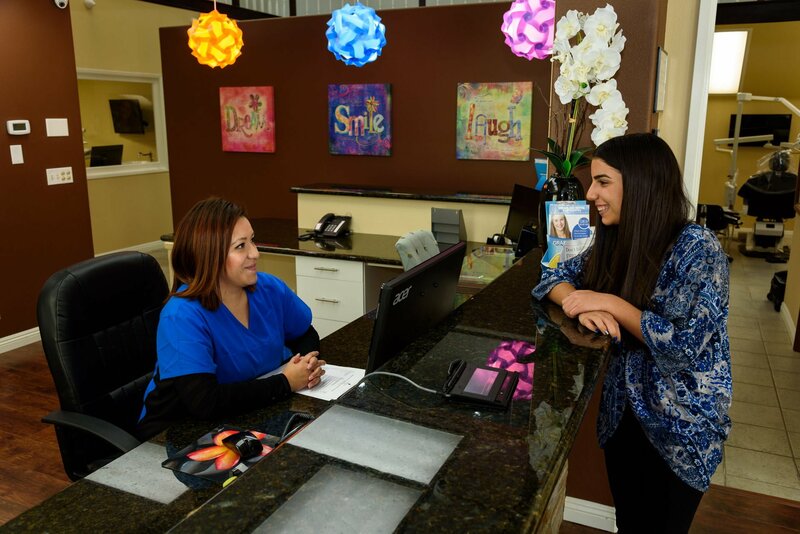 To learn more about impacted teeth removal, please visit our dentists at Dreamland Dental & Orthodontics in Bellflower.